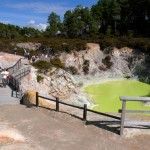 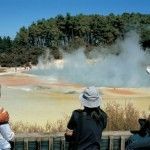 Sculptured out of volcanic activity and thousands of years in the making, Wai-O-Tapu is considered to be New Zealand’s most colourful and diverse geothermal sightseeing attraction. 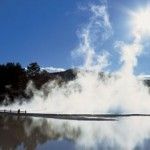 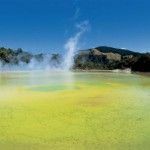 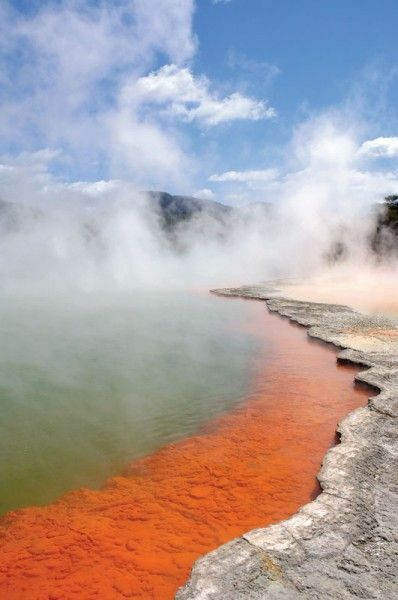 You are introduced to a uniquely different natural landscape – the key to what you see lies below the surface – one of the most extensive geothermal systems in New Zealand. 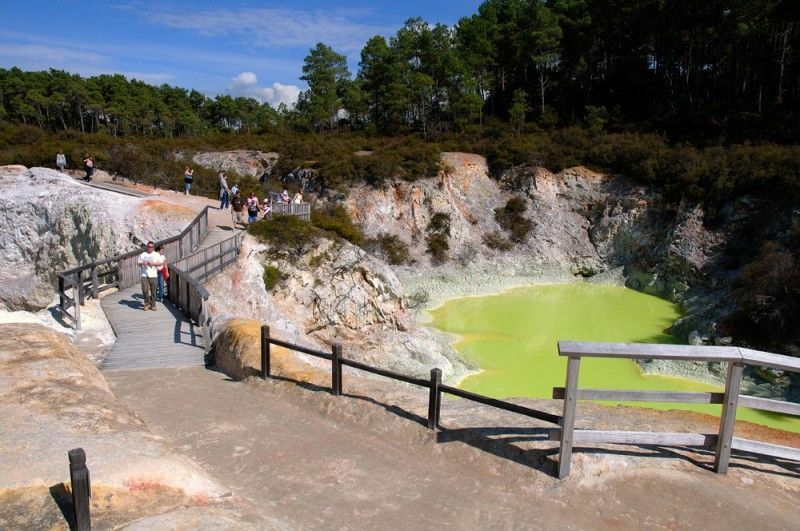 Clearly defined tracks provide the visitor with the opportunity to enjoy the diversity of this area through a series of different walks taking from 30 to 75 minutes or more, each with their own unique volcanic vistas to fascinate all ages. 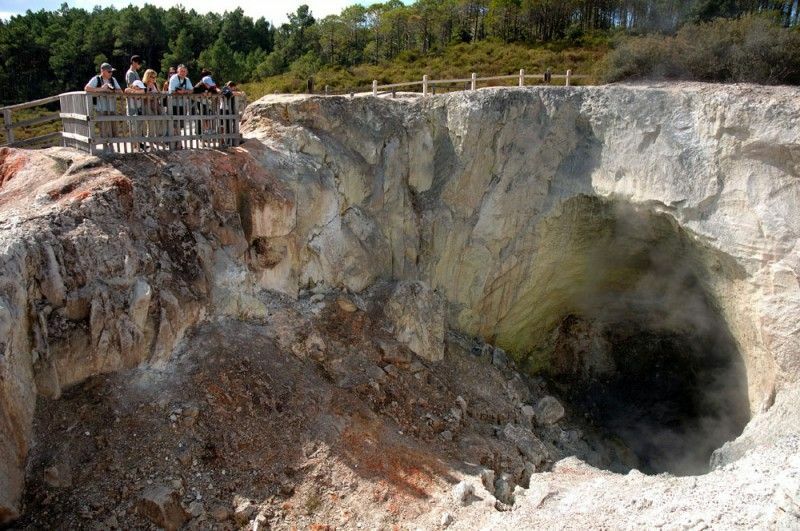 The nature of the reserve being an active volcanic area and the undulating terrain may present some difficulties for people with various disabilities. 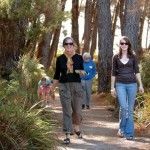 We strongly recommend that you enquire at the ticket counter when purchasing your tickets as to what route is best suited for you. 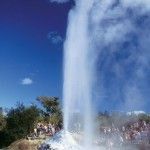 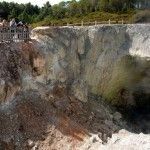 At 10.15am each day there is the opportunity to learn the history and mechanics of the Lady Knox Geyser during a presentation by an informed guide in the natural ampitheatre. 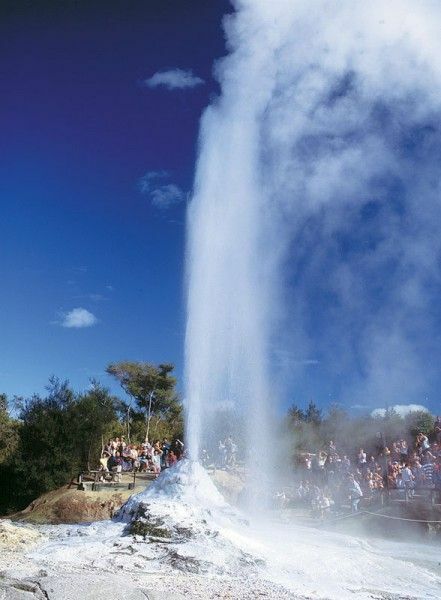 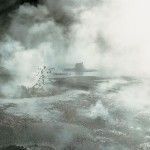 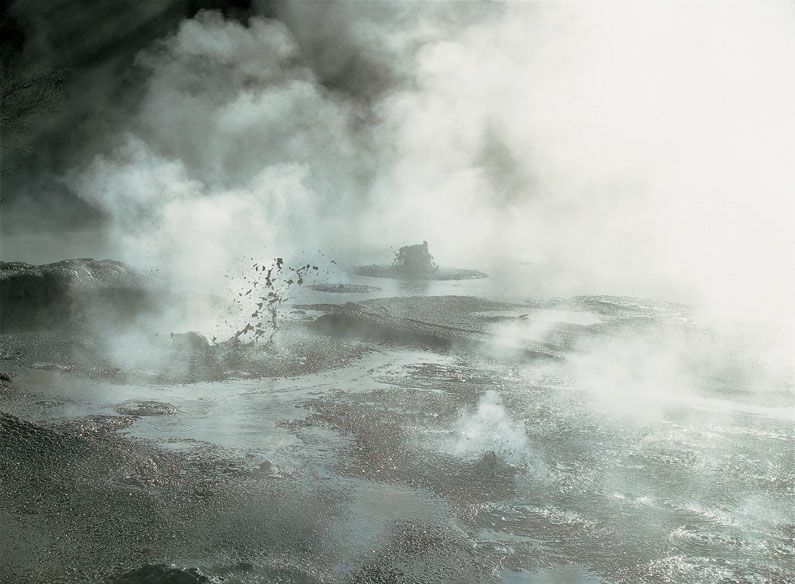 It provides a unique opportunity to see a geyser in eruption to heights of 10 to 20 metres. 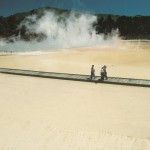 The Lady Knox Geyser is located in a separate area from the Visitor Centre (a 3 minute drive in your own vehicle) where there is also plenty of parking. 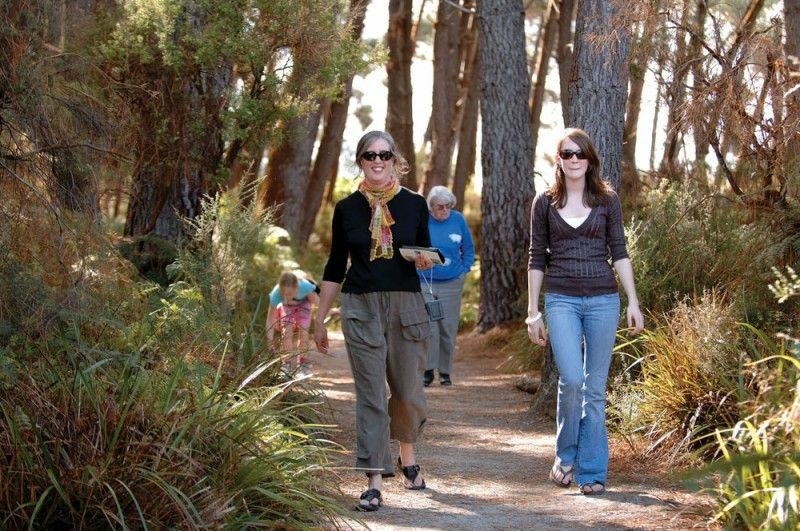 Directions to her location are given when tickets are purchased from the Visitor Centre. 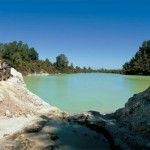 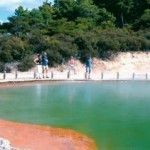 Your visit to Wai-O-Tapu would not be complete without taking the opportunity to visit what is locally known as the Mud Pool. 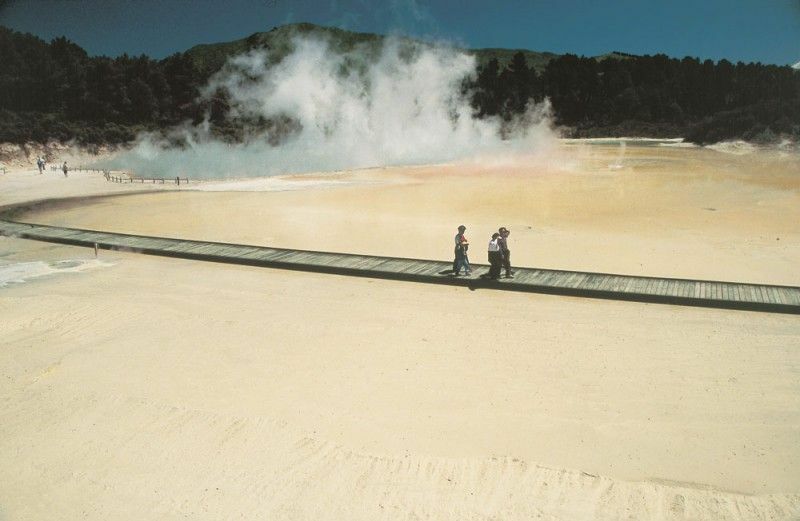 This was the site of a large mud volcano which was destroyed through erosion in the 1920′s. 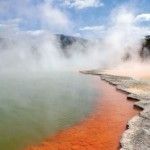 It now represents one of the best opportunities to experience the unique character and sounds of erupting mud in New Zealand where the activity is always guaranteed.